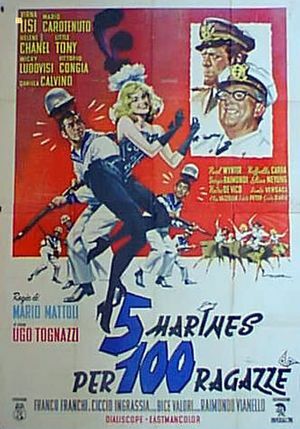 5 marines per 100 ragazze movie poster. Five GIs end up in a female college during their military manouvers. They are very welcome by the girls and since one of them has also a beautiful voice they take part in a show organized by the college. This page was last modified on 15 June 2012, at 11:32.